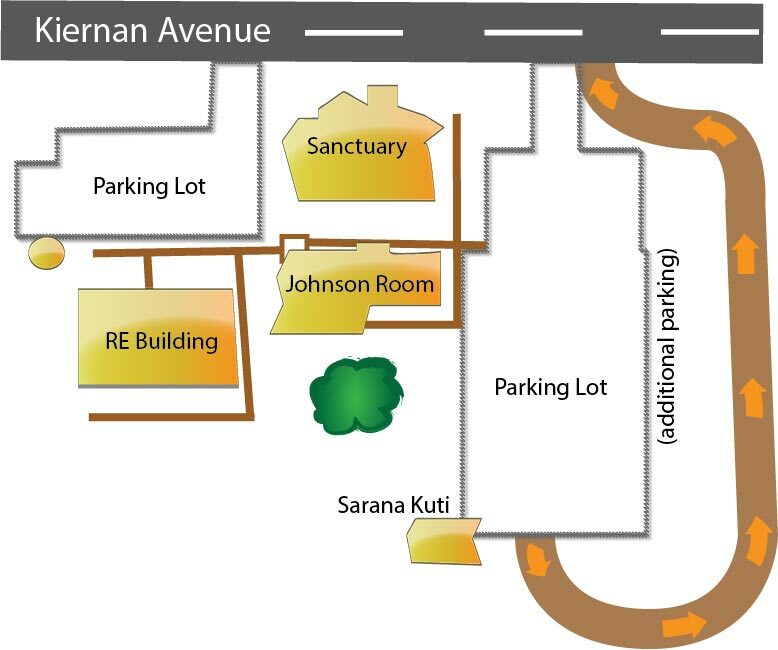 We are located at 2172 Kiernan Ave., Modesto, CA in the little building called the Sarana Kuti at the rear of the parking lot on the east side of the Unitarian Universalist Fellowship of Stanislaus County (UUFSC) sanctuary. Please use the gate in the white picket fence and follow the brick pathway to the left to enter our building. Please note that if you are coming from the east of the UUFSC (traveling west on Kiernan Ave.), you must go to Dale Rd. and make a U-turn on Kiernan Ave. to turn right into the parking lot (you cannot make a left turn across the median as you travel west on Kiernan Ave.).